PRLog (Press Release) - Jun. 10, 2014 - SAN DIEGO – Nikola Tesla lived a life of passion through science. His contributions to the world of energy and alternative power earned him the nickname Master of Lighting and paved the way to what is known today as the electric car. But his journey was also shrouded in controversy and scandal. The Love Records, owned and operated by filmmaker and activist Sharon Doyle, takes on the life and legacy of Nikola Tesla in her new film TESLA. TESLA is synonymous with the highbred car that looks like a Maserati yet runs like a Smart Car. Few know the work of Nikola Tesla, one of the greatest inventors and scientists to ever live. His contributions include AC Electricity, Induction Motor, Radio, Remote Control, x-ray, Turbines, in all totaling nearly 770 inventions to his credit. But conspiracy theories about his particle beam invention swarmed soon after his life came to an end. Will his legacy be based on the final events of his life shrouded in controversy or the incredibly important work he did for all of mankind? The Love Records brings the work of Nikola Tesla to film focusing on his contribution to saving our planet. By bringing his many achievements to film festivals around the world, it is the hope of The Love Records CEO, Sharon Doyle, that the public will be educated and the real legacy of this fascinating man, scientist, and inventor will be restored. 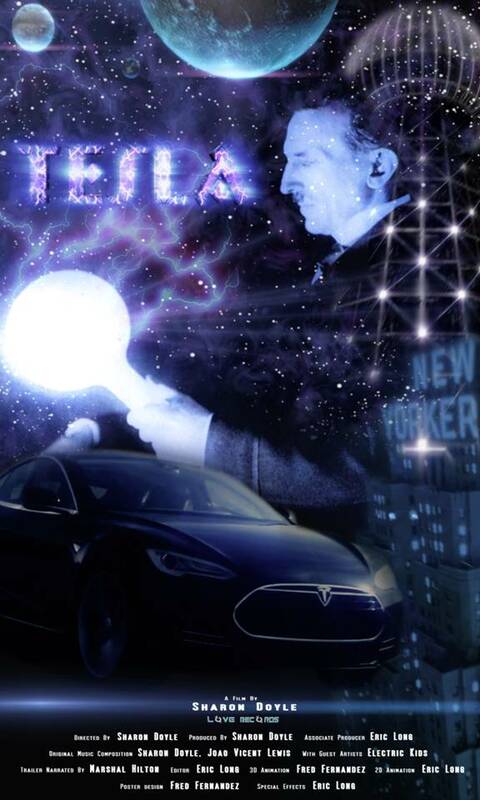 The first screening of “TESLA” will be at 12:00 pm on Saturday August 2, 2014 at the Stephen J Buck Memorial Theater, New Hope PA as part of the New Hope Film Festival. New Hope Film Festival welcomes them and will be host to filmmakers from 16 different countries debuting their films at this year’s annual event.